Â When people use your app for the first time, they should intuitively grasp the most important features. The design work doesn’t stop at the first use, though. Google just doped their designers again and went all in on their new Android Design page. This probably comes as a reaction to the inconsistency of Android Apps and is trying to teach the App devs som common guidelines. Google has just updated their API to query a websites pagerank through third party software like web services and browser plugins. 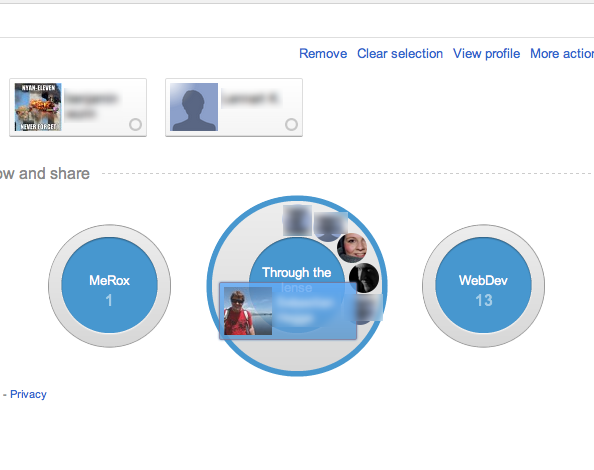 I was quite surprised when all my hosted sites suddenly appeared with a pagerank of 0. To calm everybody down, it’s not true It’s just that right now the plugins and web services can’t access the new way of getting the data yet. As soon as the developers of the plugin you’re using or the analytic service of your choice have updated the responsible code, everything will be back to normal. Nothing has changed with the pagerank itself, just the way software can access it. Google hat mal wieder was richtig gemacht, nicht nur den +1 Button zum verbessern der Suchergebnisse, sondern auch Interfacedesign und Profillayout. Es sieht gut aus und das Volk reiÃŸt sich um die Testaccounts um mitspielen zu kÃ¶nnen. 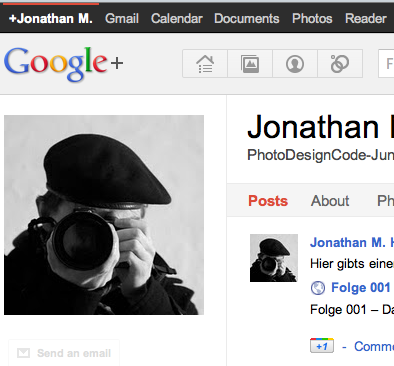 Google Plus gibt einem eine Wall, wie bei Facebook, integriert Dienste wie Picasa und erzeugt leichter Gruppen mit denen man Inhalte teilen mÃ¶chte als irgend ein anderes social network. Es kombiniert die @mentions von Twitter, kombiniert sie mit Kommentaren und Funktionen zur weiteren VerÃ¶ffentlichung und LIKE/gefÃ¤llt mir heiÃŸt jetzt +1. Klingt einfach, ist einfach zu bedienen und ich bin gespannt wie sich das ganze weiter entwickelt. Hier ein paar screenshots Wer eingeladen werden mÃ¶chte, einfach die googlemail Adresse hinterlassen und ich kÃ¼mmer mich um eine Einladung. Hier gehts zu meinem Profil. Basically it’s no wonder that Chromium is on the list, Google’s Chrome is based on the same code and every upstream is for their benefit. Mozilla is one of Google’s big partners and paid to have Google as the standard search engine in their popular browser Firefox. Some would even say, that the Mozilla foundation is practically depending on Google financially.Â Another project that fits the category is Google caja, which works as a framework for secure internet applications. Another project I literally stumbled upon is Haiku. Haiku aims to be a BeOS like operating system in looks and unity of user interface and software. The goal is to keep simplicity as far as possible. Seven students are in for this years summer of code on this alternative operating system. If you ask yourself what else Google is and does, I’d recommend you visit the blog of a dear friend of mine, which offers a little more suspicious view on worlds most used search engine: blog.thinking-aloud.eu.